Concept Garrett Mason and J.G.Lutes find purpose in creating art. They’re taking it on the road to share with part of the country. Come hear ideas; some new some old. Garrett Mason – BIO Garrett Mason was raised in Truro Nova Scotia by his mother Pam and father veteran Canadian Bluesman Dutch Mason. 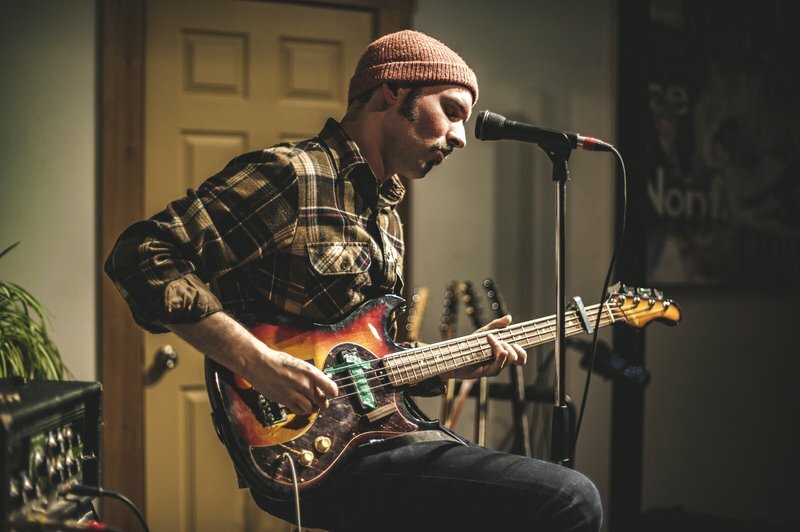 His path to become a blues musician started at a very early age; being surrounded by blues music Garrett’s favorite tapes at 3 years old were Canned Heat and Buddy Rich. His dad Dutch Mason stopped playing guitar before Garrett was born. Although he was not able to teach his son to play he has certainly been able to teach Garrett the structure of the Blues and to influence him about the resulting sound. Surrounded by his father’s peers Garrett has had the benefit of hearing and learning from a wide variety of musical talent.